Happy New Year! Now that the holidays are over, and the new year is here, it’s time to get back to reality. If the weather outside is any indication, while we were all busy celebrating, winter crept in and is now in full swing (and has been for a while). Winter is the hardest season to dress for. Staying warm AND looking cute is actually much harder than it sounds. Luckily, we’re kinda experts in this department and we’re going to share our insider knowledge with you. 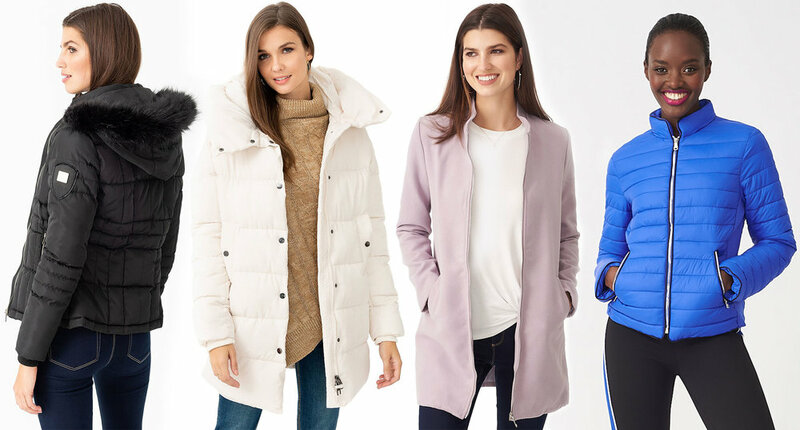 So, if you want to take advantage of those post-holiday sales, here are the winter wardrobe must-haves your closet is waiting for. If there's one thing you need to survive a Canadian winter, it's a great collection of sweaters in your closet. As soon as October knocks at the door, out come the knits. Whether you opt for a rainbow sweater to brighten a dreary winter day or something a little more soft and subtle this season, the perfect snuggle buddy is out there for you. There's never a wrong time to give your trusty winter coat a welcome update. If there’s one thing you can afford to invest in this winter, it’s your own warmth. A pop of colour makes a fashion statement, but something more neutral is better for every day. Either way, trust us, on those -30 February days, there will be no such thing as buyer’s remorse! When it comes to winter wardrobe must-haves it’s important not to forget what goes on the bottom. A great pair of pants (or a few) is a total must-have during winter because let’s face it, that’s all we can wear for several months of the year. A great pair of denim, a smarter pant for work and a cozy pair of leggings (preferably fleece lined) is all you need to get you through. When it comes to dressing for winter, more is definitely more. In winter accessorizing really comes into its own. For ultimate coziness follow this recipe: 1 scarf that doubles as a blanket, 1 oversized tuque (pom pom detail optional), 2 cozy mittens of your choice and 1 pair of the fluffiest socks you can possibly find (double this last one on an extra cold day!). Looking for an excuse to stay inside this weekend and escape the cold? We just gave you the perfect one. We don’t call these pieces winter wardrobe must-haves for nothing. So, tell us, what’s on your winter wardrobe wish list? We promise, we won’t tell!